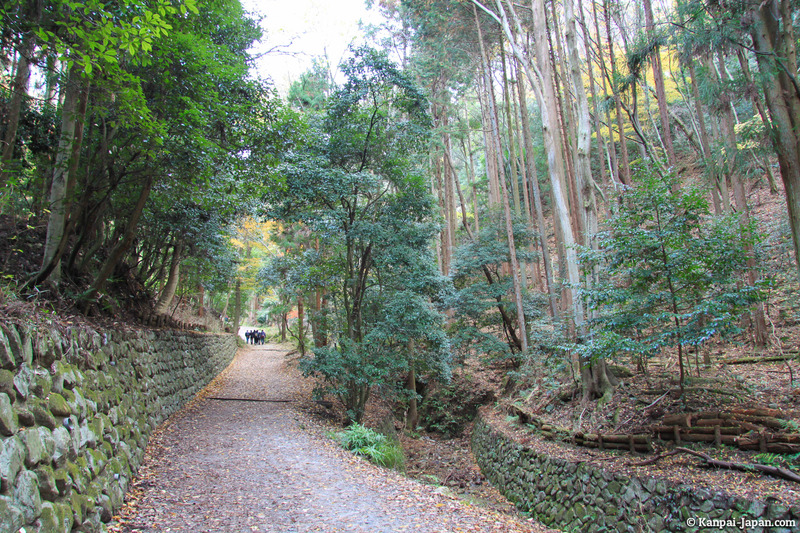 Daimonji-yama, this beautiful mountain northeast of Kyoto, is especially know for "Gozan Okuribi", an event which takes place on August 16. 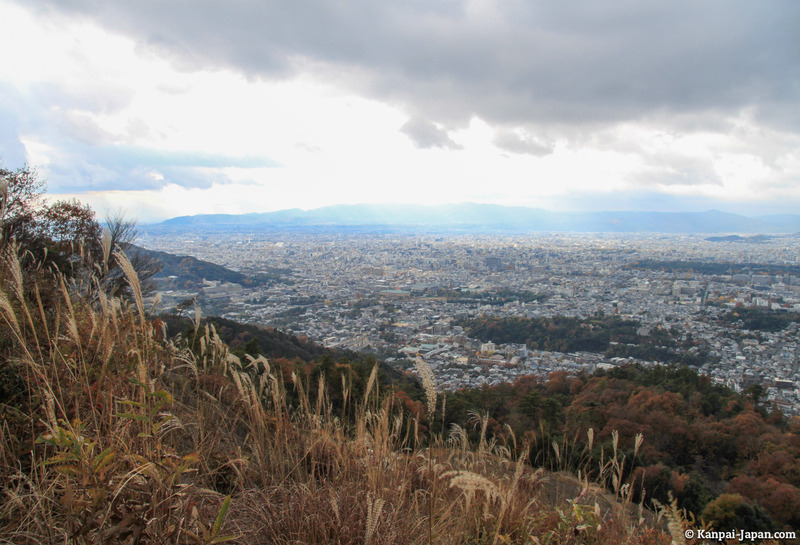 Every year on this night, huge kanji characters are formed by 75 large fires on Kyoto mountains to celebrate the end of Obon, festival of the dead. 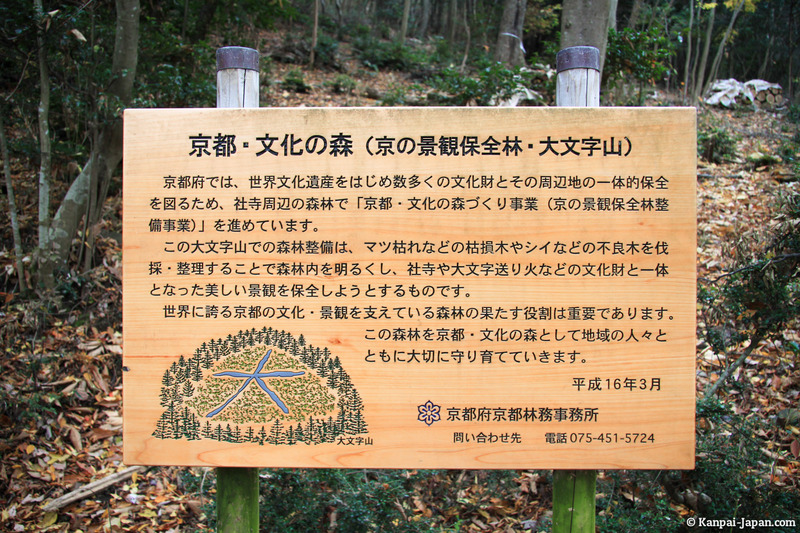 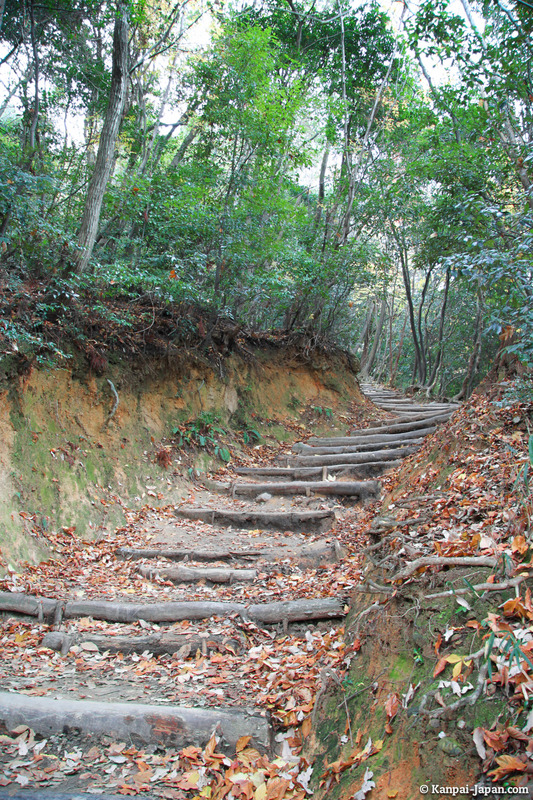 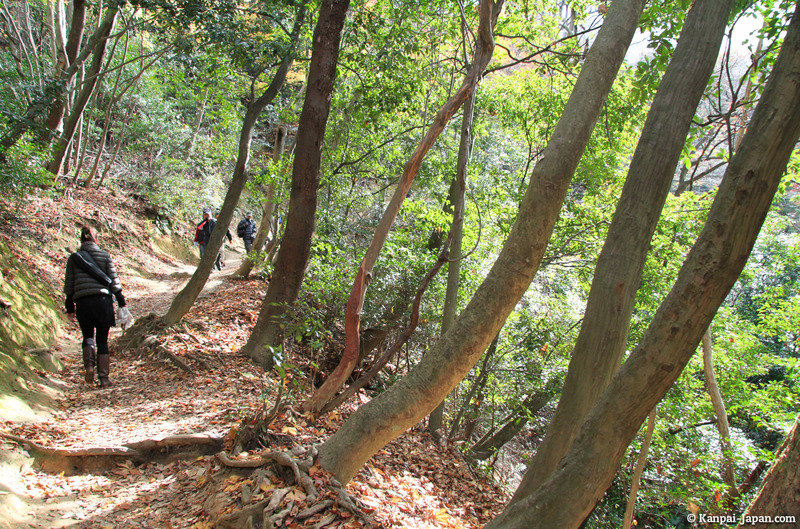 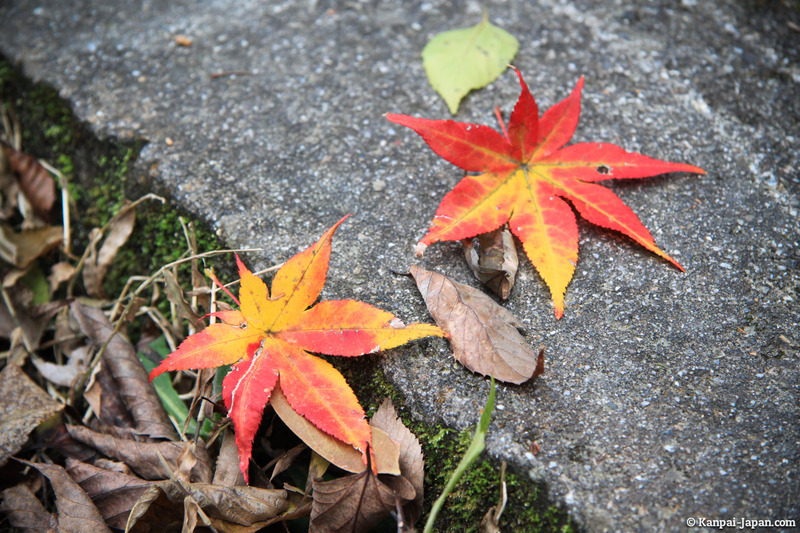 The rest of the year, Daimonji is very accessible and it's also a short hike that I recommend to all travelers in Kyoto. 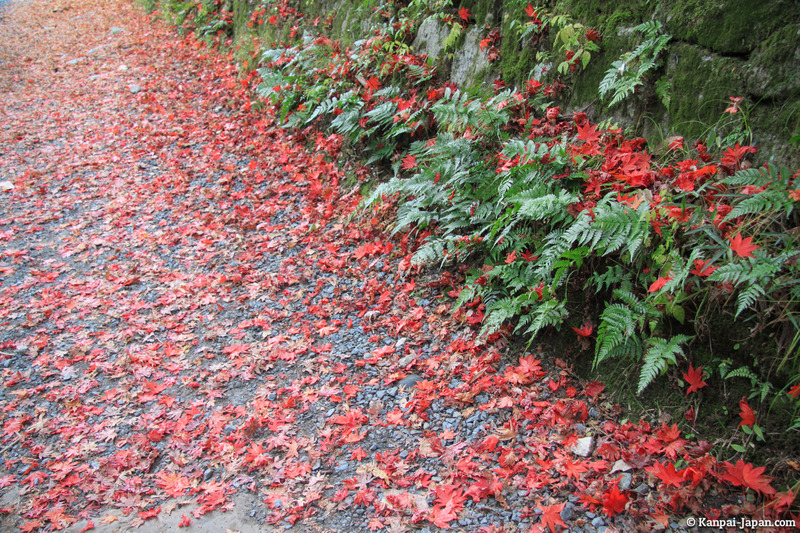 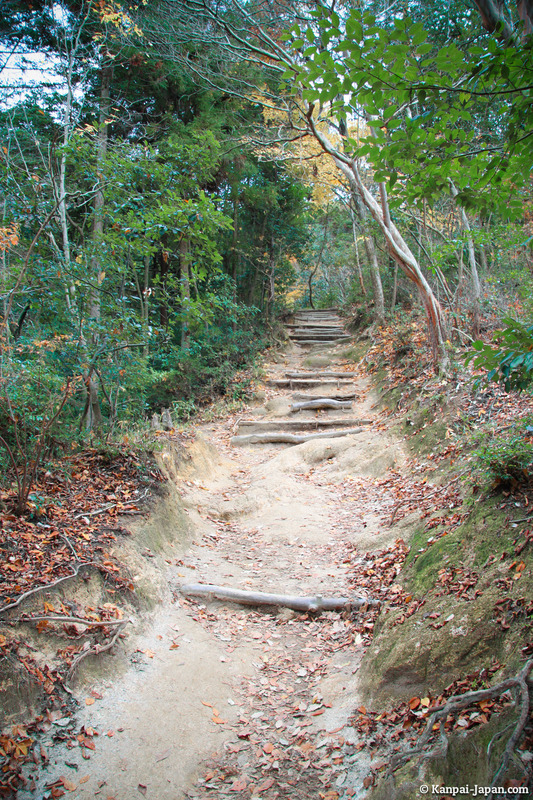 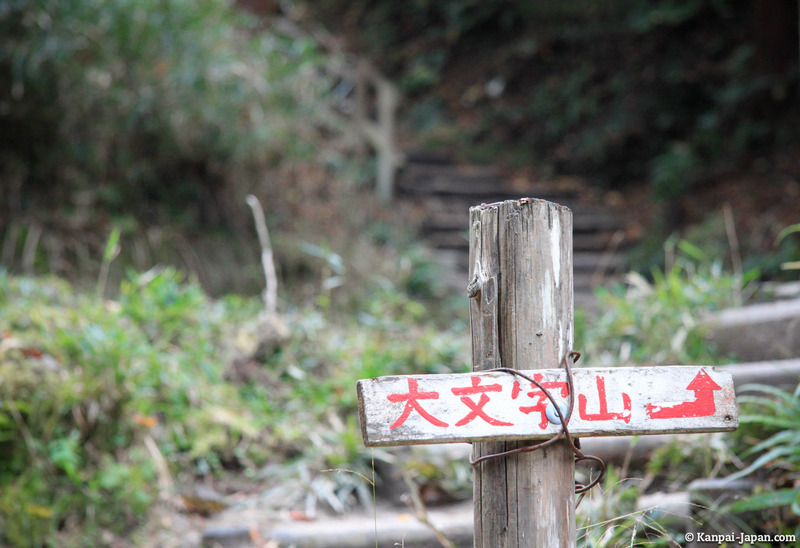 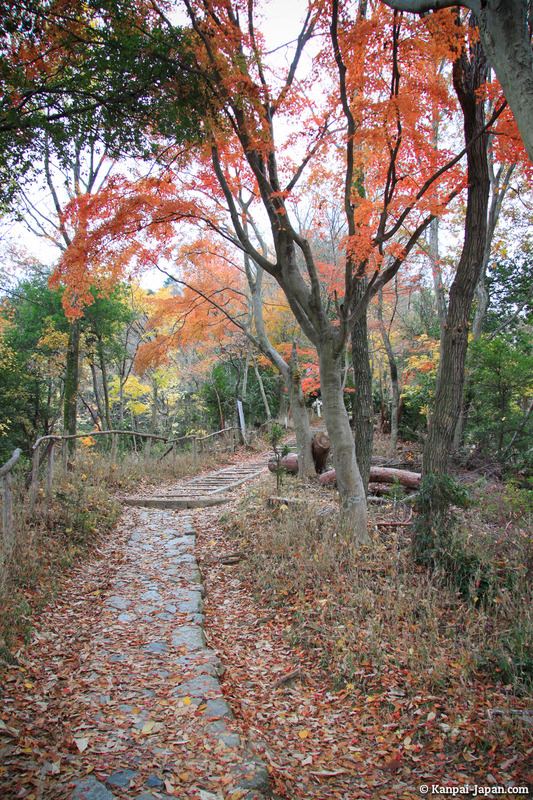 Enjoy your visit from the Philosopher's Path up to Ginkakuji temple. 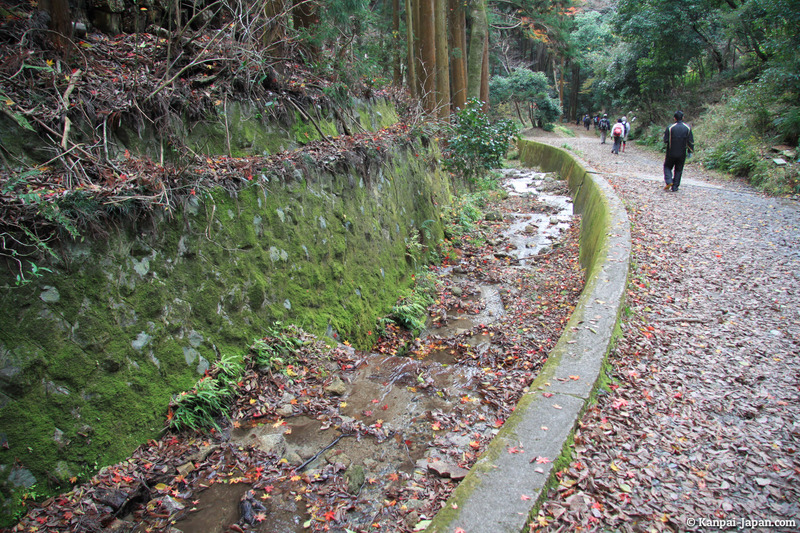 Getting out of the Silver Pavilion, turn right immediately and walk a few semi-residential streets to get to the beginning of the Daimonji hike. 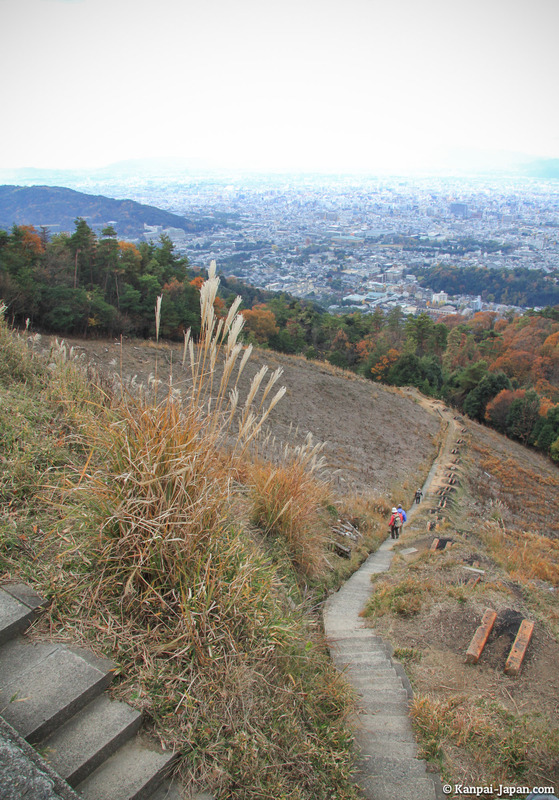 The climb itself is not that long: 30 to 45 minutes. 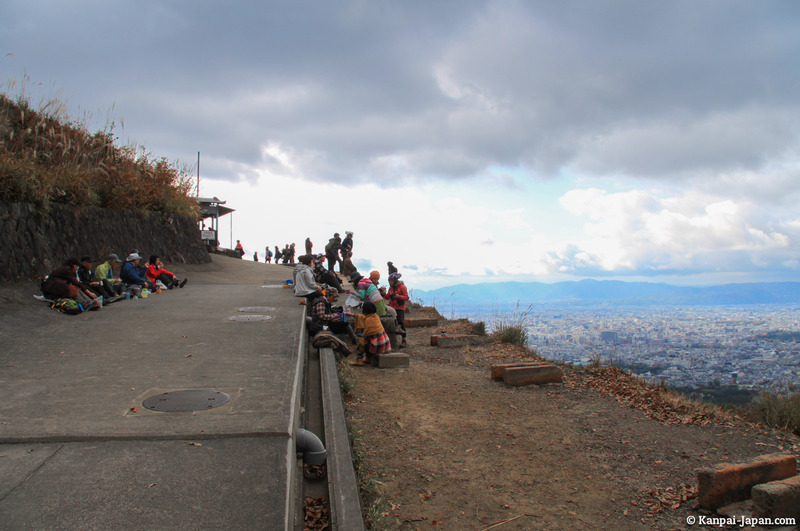 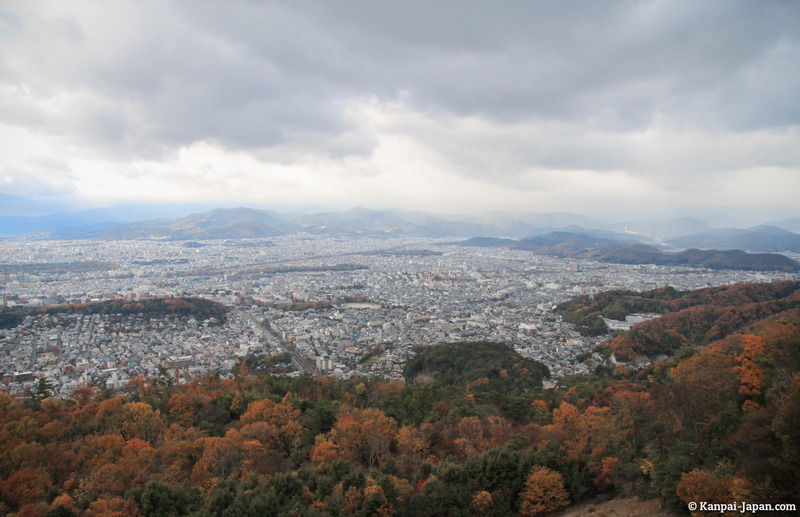 But the reward is well worth it: the view on Kyoto city from the top is even better than from Iwatayama. 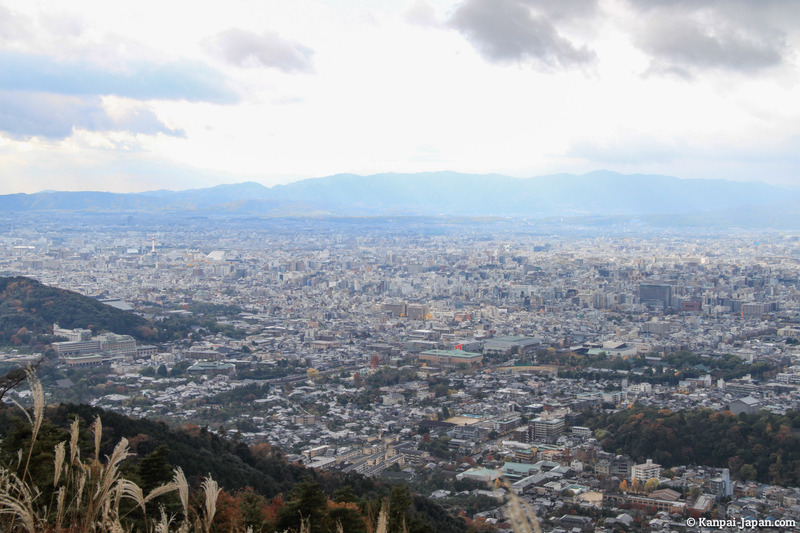 On clear days, you can admire the ancient Japanese capital's perpendicular avenues up to its extreme south, farther than the station. 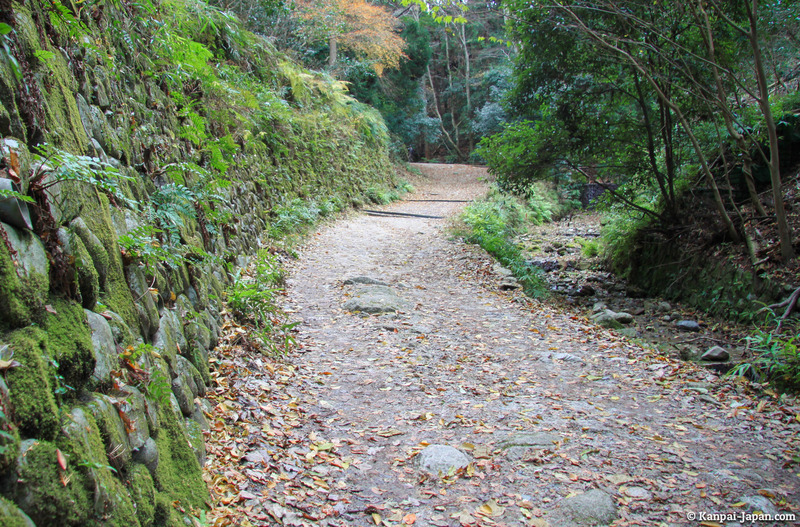 Take this opportunity to recognize the temples and other most remarkable points of interest. 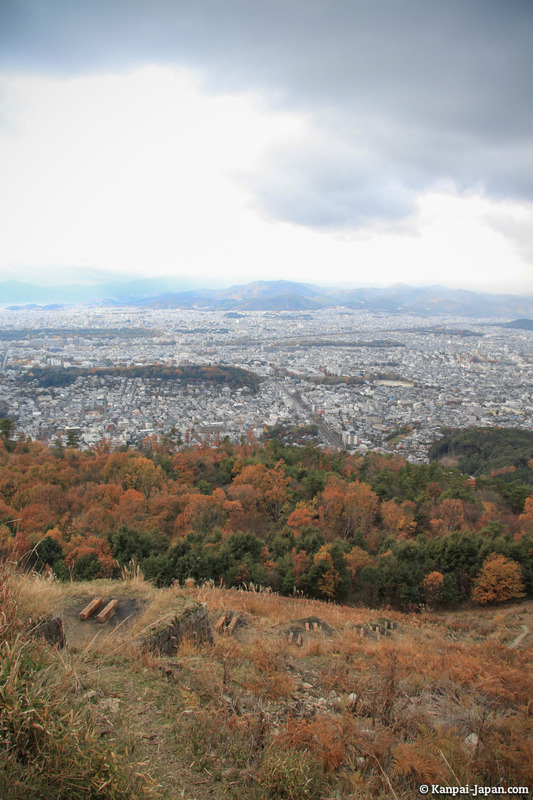 Here's a glimpse of Daimonji in pictures I took last december, from bottom to top.